I love cooking and I love food. From baking bread to smoking meats, there is no ingredient or technique that I am not eager to try. So many memories of mine revolve around the kitchen or a plate of food. I remember going over to my best friend’s house every weekend working to perfect our chocolate chip recipe, or helping my dad make his famous salsa recipe, being taught the pie recipes from my grandmother that had been passed down to her from her own mother. The kitchen is a place for me to reconnect with my family, to bring everyone together to talk and laugh over great food. So, when I became a mother it was only natural for me to bring my own daughter into the kitchen with me. From the time she was able to sit up by herself in her high chair, I had a bowl and spoon in front of her. I would talk to her about recipes, techniques, and stories of memories I have in the kitchen. As she grew, her responsibilities in the kitchen evolved. At three-years-old, she can operate my stand-up mixer, stir ingredients, and with some help, even help me cut up fruits and vegetables. Every time I go into the kitchen, she runs over and insists on helping me, even if it’s just to make a peanut butter and jelly sandwich. Including your children in food preparation has many benefits. Studies have shown that children who are involved in the preparation of their food are more likely to have a positive relationship with food, are more knowledgeable about where their food comes from, and are more willing to try different types of foods¹. Involving youngsters in the kitchen can seem daunting, and challenging. The trick is to get creative (and accept inevitable messes). With a few simple tools and some patience, you can begin to start making memories in the kitchen. Which seems obvious but is honestly one of the most helpful pieces when involving a toddler in the kitchen. We use a regular 2 step ladder, but if you have an extra squirmy little one there are step stools made specifically for toddlers to help at tables and are built to prevent falls. There are many different types of tools your child can use to help start teaching them how to safely hold and use knives or sharp objects. Depending on your child’s level it is important to always carefully guide your child while they use these types of tools. A favorite in our house is a Wavy Chopper knife. They are small enough to be held by little hands, dull but still able to cut through carrots or other hard vegetables with little effort, and the wavy edges make fun shapes in our food. 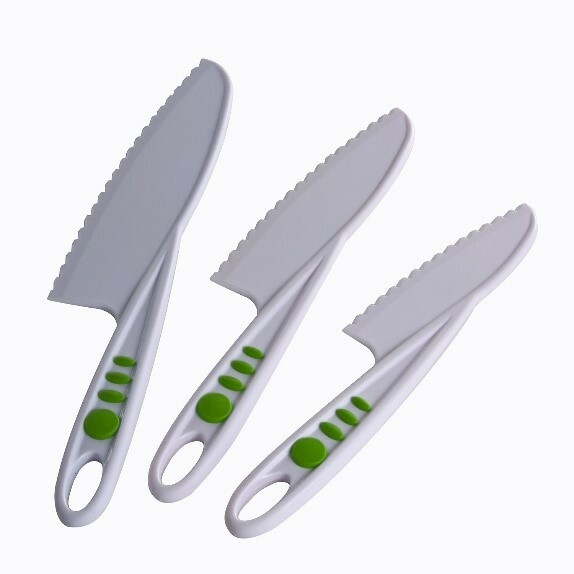 We started by using it to cut the crust off sandwiches. 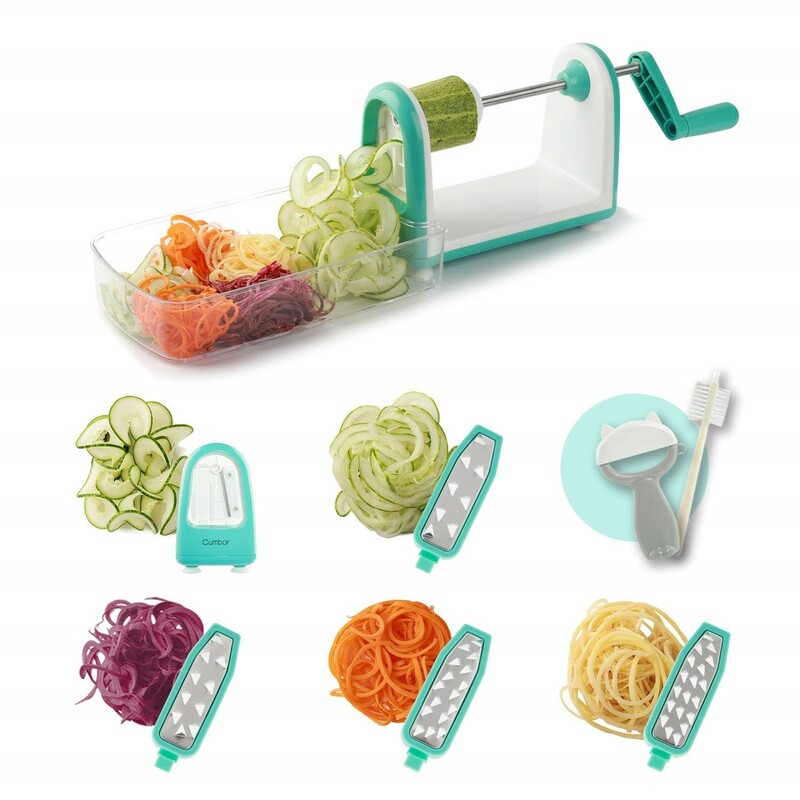 Vegetable spiralizers are great for a few reasons; they turn regular vegetables into fun shaped noodles and they are easy to use. My own toddler loves watching as potatoes, carrots, zucchini and squash turn into ribbons of colorful noodles. With some guidance, she can handle it like a pro. I found that the most important feature for a spiralizer to have is strong suctions on the base. This helps prevent it from moving around and helps make it easier for little hands to use. Whenever I tell other parents that I let my daughter help me in the kitchen, I usually get wide-eyed looks. I’m often met with questions like, “You actually let her cut stuff?” or “Aren’t you worried she will hurt herself?” Of course, accidents in the kitchen can, and do happen. Safety in the kitchen is always my number one priority. Since my own daughter is still only three, I try to keep her away from open flames, guide her use of sharp objects and layout strict guidelines. 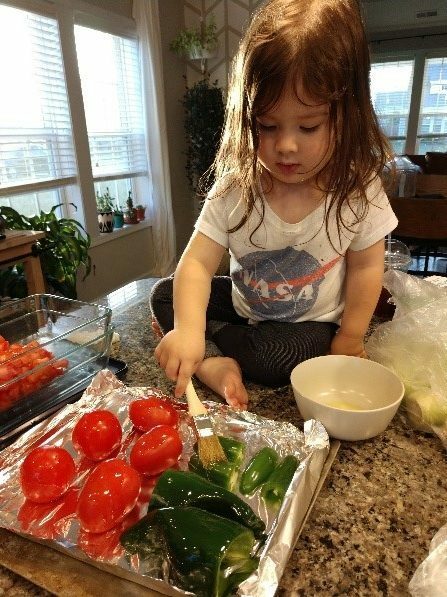 If you plan on involving your own child in the kitchen it is important to take into consideration their skill level and adjust accordingly. In addition to these tools above, my daughter also uses whisks, spatulas, measuring cups, cookie cutters, a stand-up mixer, basting brushes, scissors, and piping bags. She helps me sprinkle spices, pour and measure ingredients and with the help of her kitchen timer, she lets me know when dinner is almost ready. I try to involve her as much as possible, from start to finish. Together we choose a recipe, gather all our ingredients and tools needed, prep everything, she watches me cook/bake/grill, we set the table together, eat and then we clean up our mess. It might take a bit longer involving a toddler but watching her get so excited about cooking, learning and helping in the kitchen is always worth the extra effort. Looking for more fun articles? Check out the Fill Your Plate blog for new articles every week. For fun recipes to cook with the family, be sure to check out the Fill Your Plate recipe section. As a self-proclaimed foodie, amateur back-yard gardener, and nutrition studies student, Cecelia Wilken hopes to help bridge the gap between farms and tables. 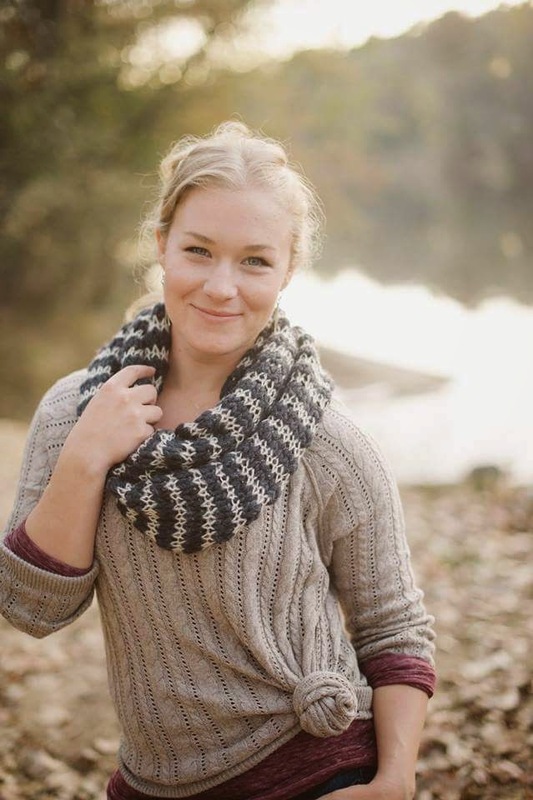 As a former medic for the United States Army, Cecelia hopes to combine her love for food, passion for agriculture and drive to help others by pursuing a B.S. in Nutrition Communication through Arizona State University Online and B.S in Agriculture Science through Oregon State University Online. After graduation, she plans to continue her path into high education in pursuit of becoming a Registered Dietician. She currently lives around Fort Bragg, North Carolina with her husband, daughter, two dogs, cat and houseplant collection. This entry was posted in Cooking, Fill Your Plate, Food, Food Safety, Fruit, Green Matters, Grocery, Health Tips, Healthy Eating, In the Kitchen, Kids, Produce and tagged cooking, food, Health, kids, Kitchen, Toddlers. Bookmark the permalink.